Photo: Courtesy of @monicarosestyle Instagram. 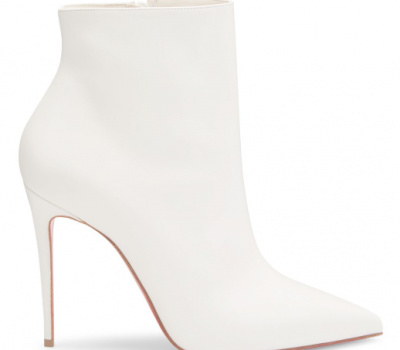 Sometimes we feel a little more footwear obsessed than usual—and now is one of those times! 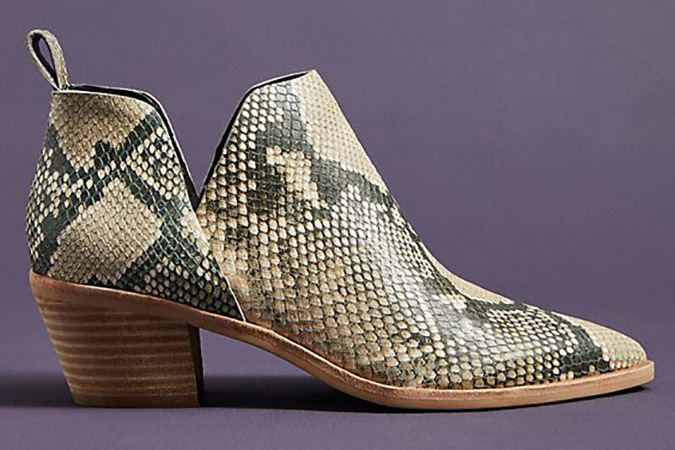 Currently crushing on more than a few pairs of snakeskin booties. 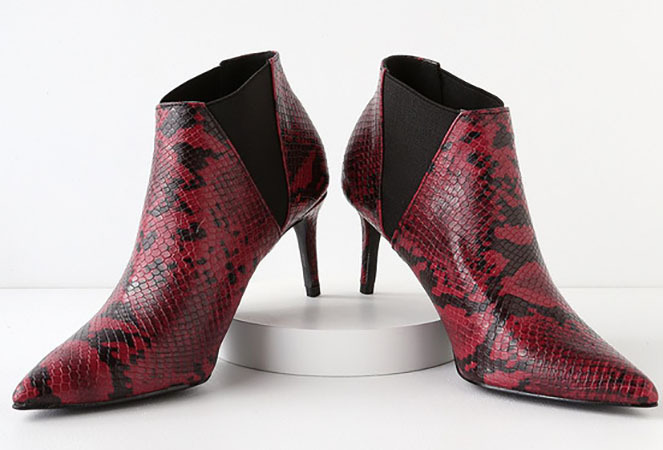 Not unlike other prints, such as, leopard or zebra, a faux-snakeskin finish should be considered a neutral. A pop of skin can mix and match with just about everything in your closet. 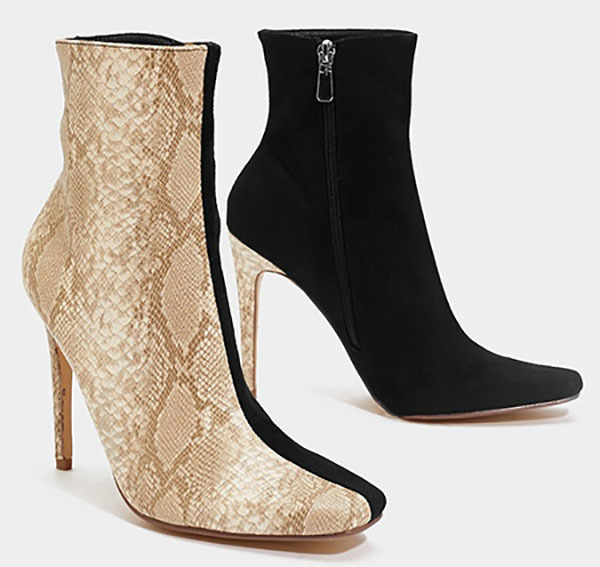 Since booties are already super versatile, you also have options when playing with your looks. Tuck your pants into them for a sporty vibe, or wear them with a casual, cuffed jean, or dress them up with flowy, palazzo pants or a fitted pencil skirt. The reptilian exterior adds texture and looks instantly styled. 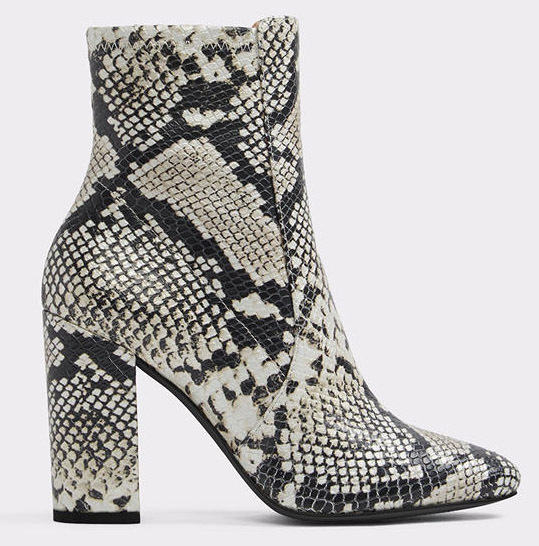 If you choose a coloured snakeskin bootie, you can really stand out by keeping your outfit monochromatic; sticking to the same hue from head-to-toe is seriously statement-making. 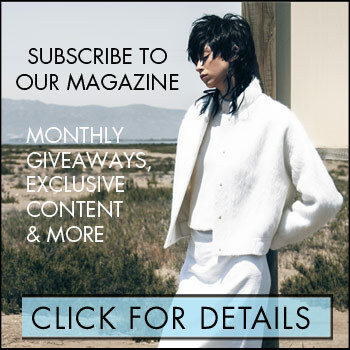 Case in point—take a cue from celebrity stylist Monica Rose (pictured), who’s client list includes Chrissy Teigen, Shay Mitchell, and Sofia Richie. Here are some of our favourites to try on for size. 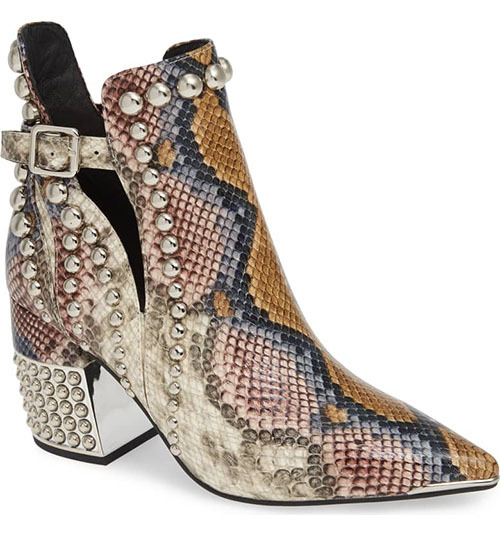 Don’t worry, they won’t bite (or slither)!